Gary Vaynerchuk should come with a warning label. DO NOT use @GaryVee if you are afraid of brutal honesty. AVOID @GaryVee if easily offended. @GaryVee may cause epiphany, soul searching and uncontrollable laughter. For best results @GaryVee only as directed. This past Wednesday night will go down as one of the great NJ Tech Meetups. It was a packed house with barely a seat left. Even with the start moved up at the last minute, everyone got there on time. 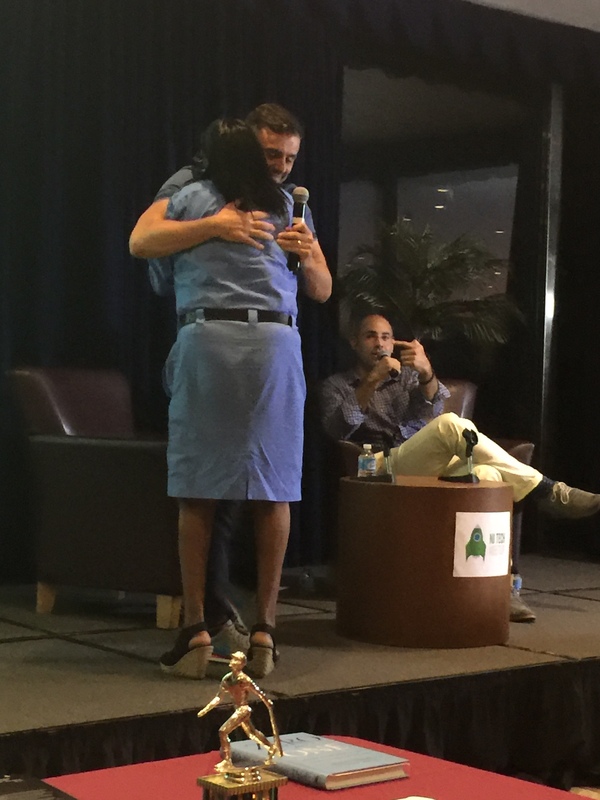 The crowd was there for one reason, Gary Vaynerchuk, entrepreneur, investor, author and one of the most entertaining and captivating speakers ever to take the stage at NJ Tech. 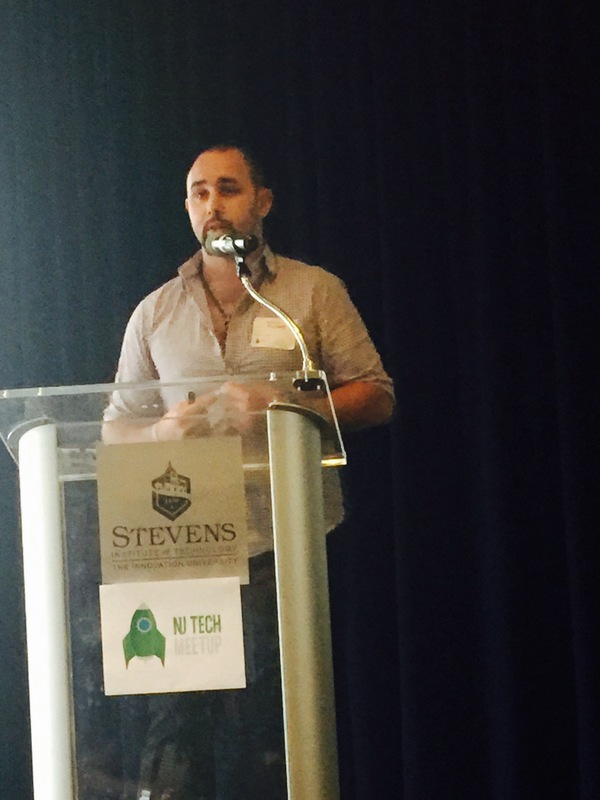 Like all NJ Tech meetups, Aaron Price @apstartup keeps the trains running on time. He made sure everyone ate, drank, networked and then got down to business. After opening remarks and a shout out to the sponsors, he opened the floor to 20 second asks and offers. About a dozen people gave quick pitches for jobs, services and opportunities. Hoboken Mayor Dawn Zimmer @dawnzimmernj made a quick appearance and welcomed all attendees. She reinforced her team’s ongoing support of and commitment to the Hoboken, Jersey City and greater New Jersey tech community. 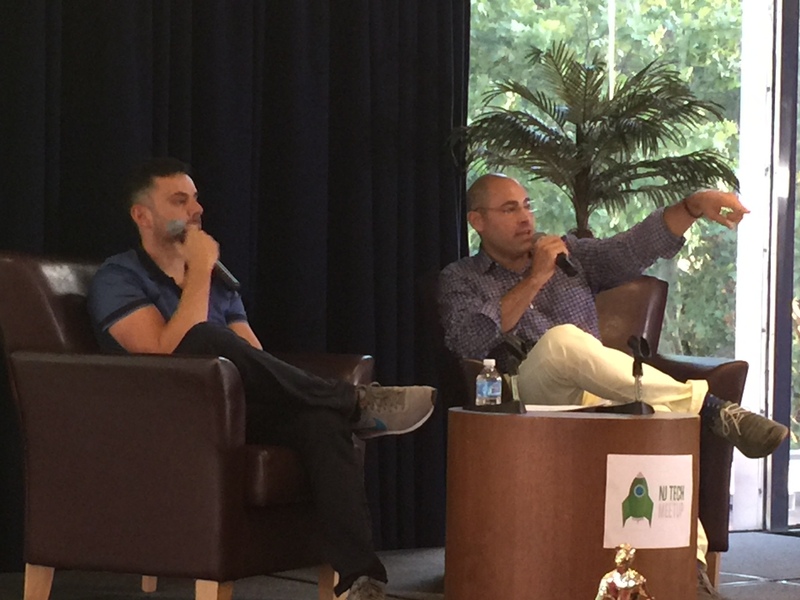 Each NJ Tech meetup features three quick startup pitches. At the end of the night everyone votes on their favorite. 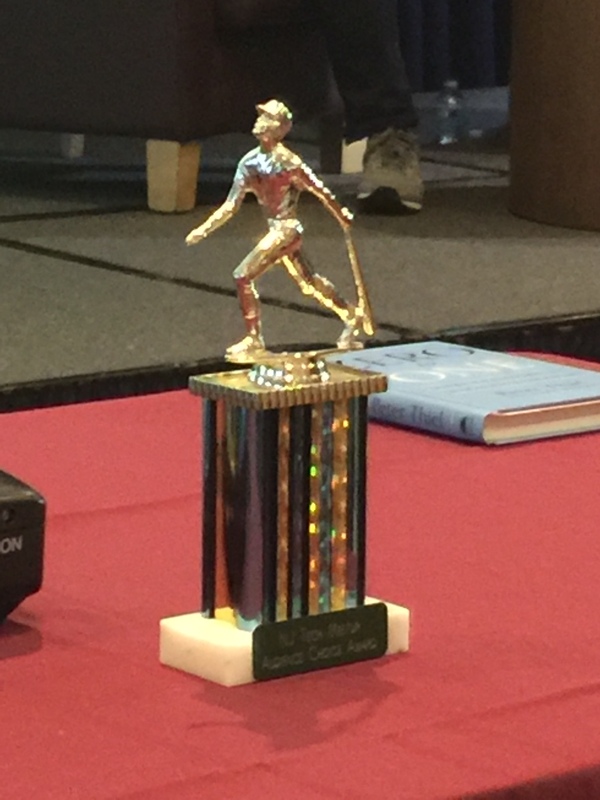 The winner walks away with a stunning recycled baseball trophy. First up, Fusar makes wearable tech for action sports. Focused primarily on products and apps to keep motorcyclists safe. they are also working on solutions for skiing, snowboarding, skydiving and more. Their tech features a helmet-mounted camera and eyes-up display so the rider can keep their eyes on the road. 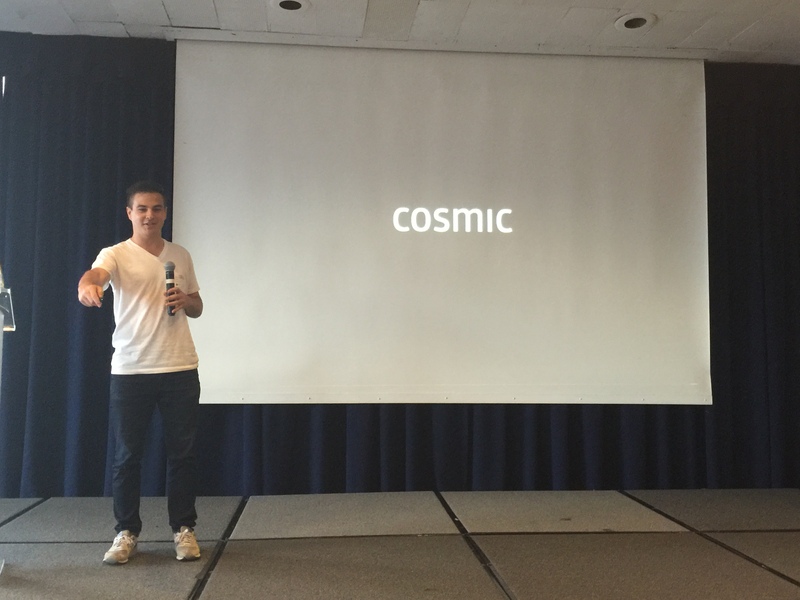 Second, Cosmic aims to take the pain out of shopping online. They want to be the pipes of commerce and allow you to buy whatever you want wherever you are. Currently they can sell from websites, apps, blogs, HTML5 video as well as microsites on Tumblr and RebelMouse. 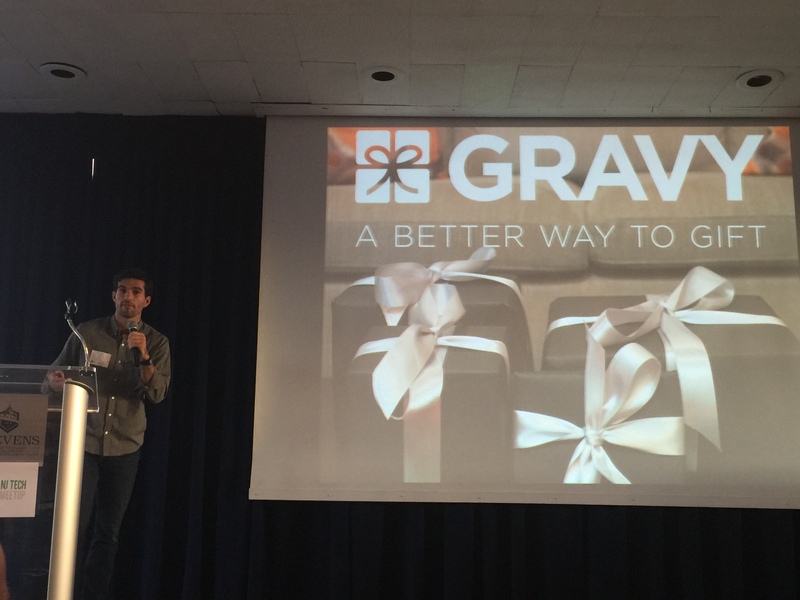 Finally, Gravy is a B2B solution for businesses to send gifts to businesses, people and employees. THey have a custom catalogue allowing users to send the right gift to the right person. They also provide hand wrapping, robust “giftlytics” and high touch support from a single dedicated vendor. **Trivia note: Gravy founder Aaron Flack was the star of 2007 YouTube sensation “What You Know About Math.” Check out his mad rapping skills below. Gary Vaynerchuk is an entrepreneur, investor, social media personality, businessman and much more. Born in Belarus and raised in New Jersey, Gary made a small fortune as a kid selling baseball cards. He turned his father’s wine shop into a multimillion dollar business. He was a YouTube pioneer with the daily online show, Wine Library TV from 2006-2011. Today, he run and his brother run VaynerMedia, a powerhouse social media agency. He also runs VaynerRSE, an angel investment fund. He’s written three bestselling books. Crush It, The Thank You Economy and Jab, Jab, Jab, Right-Hook. Plus, he decided in the sixth grade he was going to buy the New York Jets. The fireside chat was the highlight of the evening with Aaron and Gary covering a wide range of topics from his New Jersey childhood to his rise as a social media personality to his current focus on VaynerMedia and future investment plans. His next project is a new venture capital fund that will go after Series B and C investments. While VaynerRSE spread 25 million dollars across 93 angel and seed investments, he hopes to raise 150 million and invest in 10 to 20 companies. 100% confidence and “disproportionate marketing capabilities” are key to Gary’s success in business. He saw his future when he was 12 and making more on baseball cards in a few weeks than his teachers made in a year. He lives for the thrill of the competition and the risk of failure. The man is a soundbite machine with an incredible knack for storytelling. When Aaron asked if we are in a tech bubble, Vaynerchuk had some pointed words about startups, entrepreneurs and building companies. Regarding Zirtual, a company that earlier this week went out of business overnight, he was highly critical of their failure and startups in general who really too much on raising money to survive. Of course, Aaron delved into Gary’s success on social media and his complete dedication to building his brand and telling his story across all platforms. He control his Twitter and Instagram accounts while his team does Facebook. Much of his Medium content is boiled down from interviews with Gary. Again he echoed the absolute necessity of putting in the hours to create great content and connect with people. He has little patience for people who claim they don’t have enough time to succeed in business and no room for excuses. His passion, determination and fierce intensity reached a peak at this ppoint of the evening. As the chat drew to a close, Gary had some tough thoughts on the future and America’s place in the world economy going forward. Aaron took the vote on best startup. All three gave solid presentations with smart ideas. It was a tough fight, but Cosmic was victorious and took home the trophy! 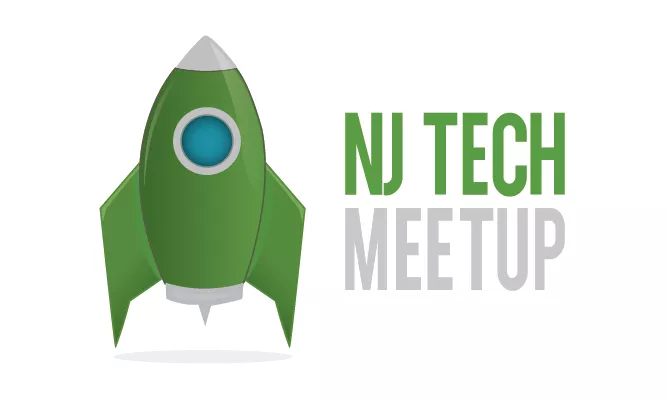 NJ Tech 64 takes place on Wednesday 9/16 at 6:30 with Kevin Ryan, founder of Gilt, Business Insider, Zola and MongoDB. You can sign up here.